Today’s feature is a 1990 Bill Cosby vehicle: Ghost Dad. The team of writers for Ghost Dad included Brent Maddock (Heart and Souls, Short Circuit 2, Tremors 2), S.S. Wilson (Tremors, Wild Wild West, Short Circuit), and Chris Reese (The Chamber). 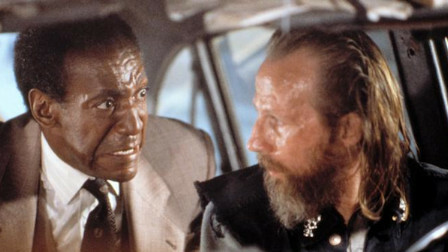 Ghost Dad was directed by famed actor Sidney Poitier, of films such as Guess Who’s Coming To Dinner and The Jackal. To date, Ghost Dad has been his last directorial feature, but it wasn’t his first: he earlier worked with Bill Cosby on the features A Piece of the Action, Uptown Saturday Night, and Let’s Do It Again, and also directed the Gene Wilder comedies Stir Crazy and Hanky Panky. 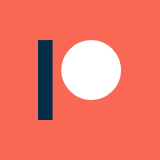 The editor for Ghost Dad was Pembroke J. Herring, who also cut Groundhog Day, Johnny Dangerously, European Vacation, Tora! Tora! Tora!, and Out of Africa. The cinematographer for the film was Andrew Laszlo, who also cut Innerspace, First Blood, The Warriors, and Poltergeist II. The musical score for Ghost Dad was composed by Henry Mancini, an Academy Award and Grammy-winning composer who was behind the scores for such movies as The Pink Panther and Breakfast At Tiffany’s. The team of producers for Ghost Dad included Terence Nelson (Xanadu), David Wisnievitz (Training Day, A Civil Action), and Stan Robertson (Men of Honor). The makeup effects on Ghost Dad were provided by Stephanie Cozart Burton, who has extensively worked on a number of television shows, and has credits on In Living Color and White Men Can’t Jump. The special effects team included Eric Rylander (Gangster Squad, Battleship), Bruce Minkus (Van Helsing, Steel), Richard Helmer (Burlesque, Alligator, Men At Work), Richard Buckler (Blade), and Noel Butcher (Tremors). The significant visual effects team behind Ghost Dad included common elements with films like Blade Runner, TRON, RoboCop, The Abyss, Last Action Hero, and The League of Extraordinary Gentlemen, among many others. 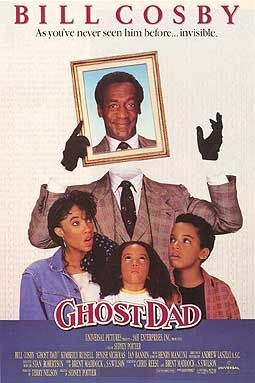 The cast for Ghost Dad includes Bill Cosby (Leonard Part 6), Kimberly Russell (The Game, Precious), Denise Nicholas (Blacula, Capricorn One), Ian Bannen (Flight of the Phoenix), Christine Ebersole (The Wolf Of Wall Street), Arnold Stang (Hercules in New York), and Barry Corbin (Northern Exposure). The plot of Ghost Dad centers on a middle-aged father who is apparently killed in a car accident, but continues living as a disembodied spirit. He slowly learns the quirks and rules of his new state of being, while trying to continue his daily life with his job and his family as if nothing had happened. Reportedly, Steve Martin was originally set to star in Ghost Dad, when the picture was supposed to be directed by John Badham. Once those plans fell apart, the project fell to the team of Cosby and Poitier. Interestingly, the Patrick Swayze hit Ghost released shortly after Ghost Dad in the same year, and was received much better by the general public. 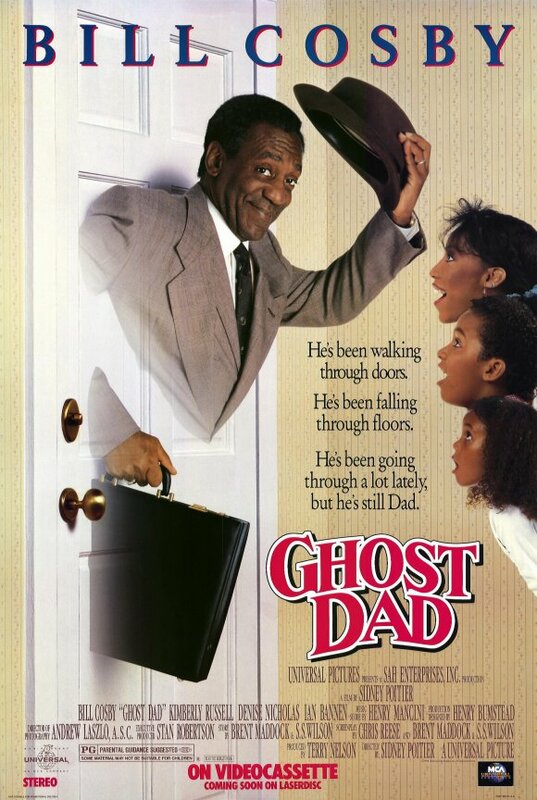 Ghost Dad was the first movie for Bill Cosby since the disastrous Leonard Part 6, a film so bad that he publicly denounced it and allegedly bought the television rights specifically in order to bury it. That movie still holds a spot in the IMDb’s Bottom 100. The reception to Ghost Dad was overwhelmingly poor: it currently has a 4.3 rating on IMDb, alongside Rotten Tomatoes scores of 7% (critics) and 32% (audience). The rules for the afterlife are bizarre, and aren’t fully explained or followed consistently. Even worse, the plot in general manages to sidestep the serious implications of death with a story twist revealing that Cosby’s character isn’t actually dead, which also negates the very title of the movie. A lot of the gags throughout the movie are based more on Cosby’s conditional invisibility than his status as a ghost, which brings up a lot of questions as to how the writing process for this movie went. Given his death is negated, why not just make this an invisible dad movie? It allows for most of the same jokes, but avoids the immensely depressing undertones that sap all of the potential humor out of what is theoretically a family comedy. The failure of Ghost Dad was the coffin nail for the potential film career of Bill Cosby, which, given what has come to light about his behavior and character, is almost certainly for the best. It is hard to imagine how much bigger Cosby might have gotten if his movie career took off, and how difficult it would have been to expose him if he had even more power. So, I guess we can thank the failures of Ghost Dad and Leonard Part 6 for keeping the beast from growing too large to slay? Personally, I think that this is a far worse movie than Leonard Part 6, though that film is almost certainly more loathed in the public consciousness of moviegoers. However, there is some weird charm to that flick that is totally absent in Ghost Dad, which is just wrong all the way down to its foundation and premise. That said, it is certainly a spectacle to sit through this confused mess of a movie, so I recommend giving it a shot if you happen to find it laying around somewhere. Also, there is something to be said for watching both Ghost Dad and Leonard Part 6 explicitly because Bill Cosby doesn’t want you to.